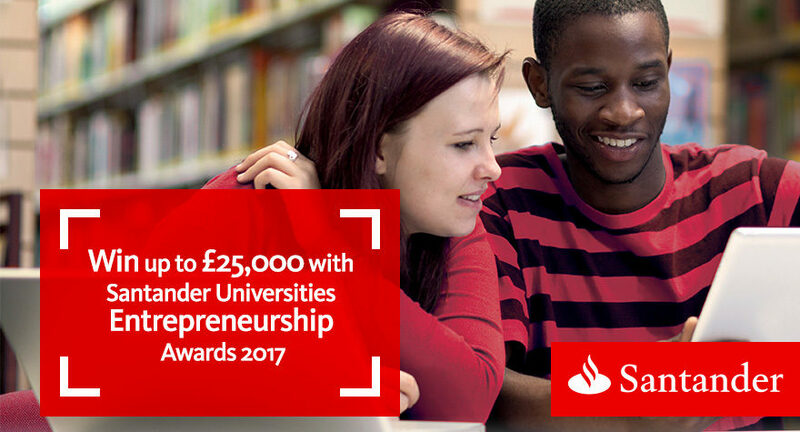 Santander’s annual business pitching competition, the Santander Universities Entrepreneurship Awards, is now open and we are calling for entries! These awards aim to give a financial boost to student and graduate business ventures in their early stages and participants can win cash prizes, mentoring and start-up support. This year, businesses are competing for a share of the £82,000 prize money as well as access to a range of other prizes designed to support and help grow their business. The awards are open to students and alumni who have officially graduated within five years of the date of submission from a Santander UK partner university. Pre-revenue category: Defined as a business focusing on ideation, discovery and business validation with minimal sales generated (if any). Post-revenue category: Defined as a business focusing on efficiency and scale with regular sales being generated. Each university can submit only one entry in each category, so Formation Zone, working alongside the Futures Entrepreneurship Centre and our partners at Santander, will be holding an internal competition to shortlist applications and then select the two entries that Plymouth University will submit to Santander. The competition is now open for registration up until midnight on 12 February 2017. To register, Plymouth University students and graduates should get in touch with the Formation Zone team at formationzone@plymouth.ac.uk. All we need at this stage is your contact information. During February and March, Formation Zone and our partners will support you with a series of workshops and clinics focused on helping you to perfect your entry. A panel of expert business advisers from Formation Zone and the Futures Entrepreneurship Centre, alongside business managers from Santander, will select the University’s entries. Santander Universities will then judge all the entries from across the UK, and the winners will be announced at a ceremony to take place in London.